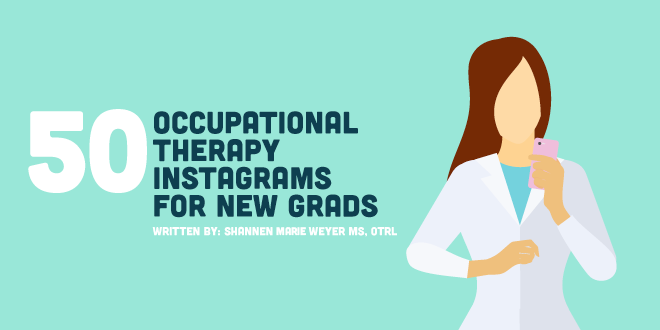 NGOT recommends following these 50 occupational therapy Instagrams if you’re on IG. Check out the square pictures depicting life’s occupations and become inspired. In celebration of our profession’s 100th birthday and #OTmonth, what easier way to recognize occupational therapy than to get connected with OT practitioners at the quick click to open the Instagram app? Check out the square pictures depicting life’s occupations and become inspired by an array of occupational therapy Instagrams. We at NGOT like to make it easy to find the resources you need and recommend following these accounts if you’re on the Gram. From geriatrics to pediatrics-based accounts and everything in between, here are 50 occupational therapy Instagrams you need to be following! What is the Best Occupational Therapy Setting for You?